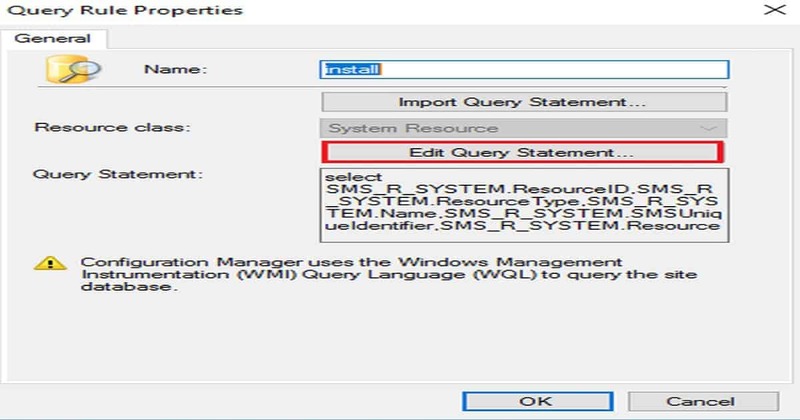 SCCM/ConfigMgr dynamic collection query can be real evil in some scenarios. It’s very easy to make mistakes while editing already existing dynamic queries. It’s better with device based dynamic collections (as it gives a warning pop up as you can see in the above video!) 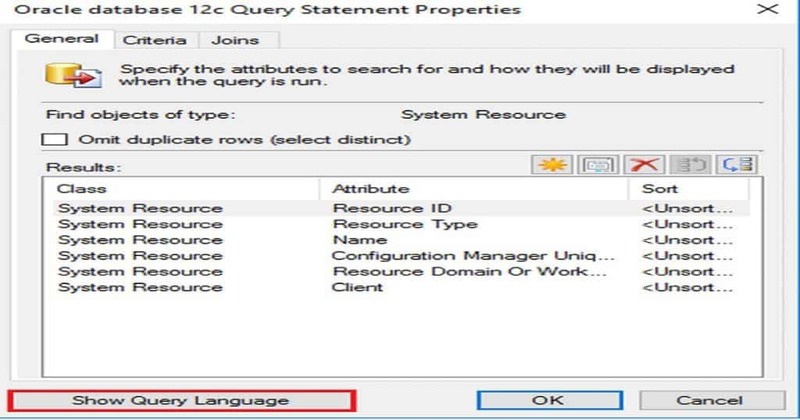 in SCCM CB environment but it’s not very good user based dynamic user collection. I have created a quick video to demonstrate this issue here. 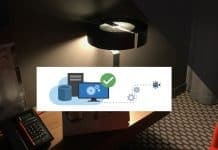 I have got a blogger Kannan C S to share his experience on this topic. He is Sr. Infra Architect with several years of SCCM and System Center experience. I will let Kannan C S explain his experience in details. I’m Kannan C S and working as Sr. Infra Architect in leading IT Company having 15 years IT experience. 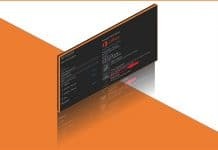 I have been with Configuration Manager [Designing, Implementation, Migration and Support], System Center Orchestrator [Designing and Implementation], Windows Server support. You can refer to my blog here. I have seen the dynamic collection query update issues in different organizations. Mainly with L1 and L2 teams where we don’t have real SCCM expertise. 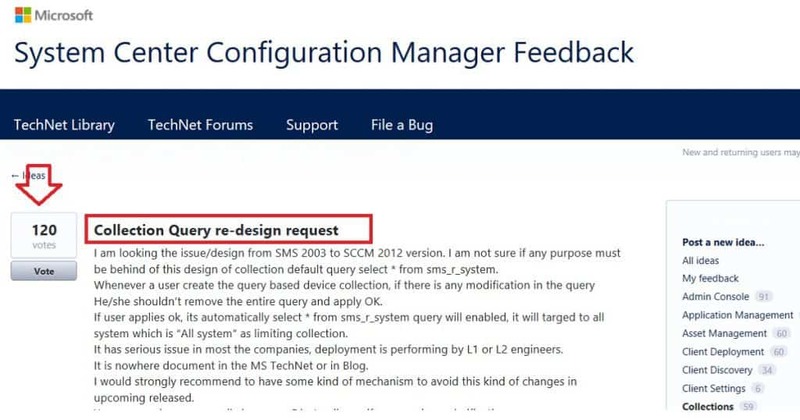 I am looking the issue/design from SMS 2003 to SCCM 2012 (even SCCM CB) version. I am not sure if any purpose must be behind of this design of collection default query select * from sms_r_system/select * from sms_R_User. 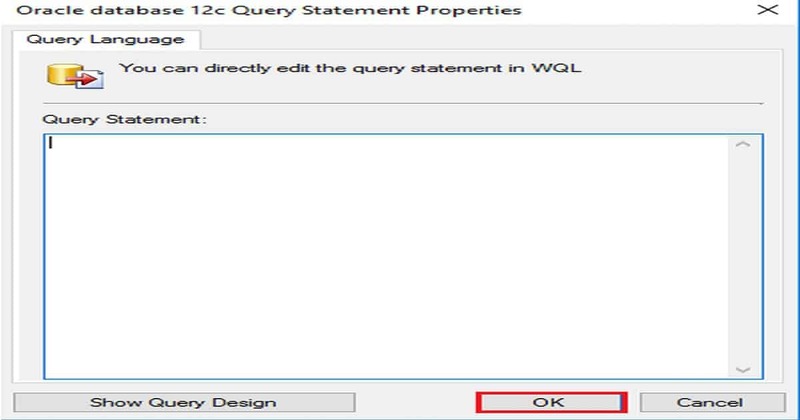 In case a user creates the query based device or user collection if there is any modification in the query. He/she should remove the entire query and apply OK. 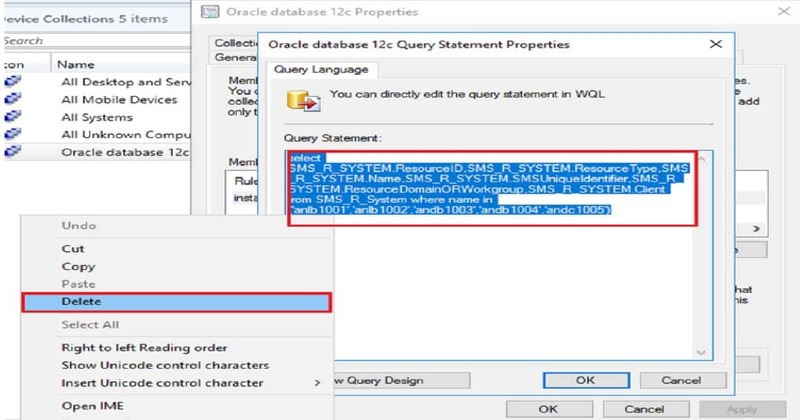 If a user applies ok, it’s automatically select * from sms_r_system/select * from sms_R_User query will enable, it will be targeted to all system which is “All system”/”All Users” as limiting collection. It has serious issue in most the companies; deployment is performing by L1 or L2 engineers. 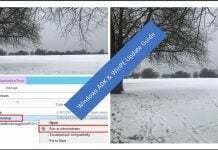 It is nowhere documented in the MS TechNet or Blog. I would strongly recommend having some mechanism to avoid this kind of changes in upcoming released. 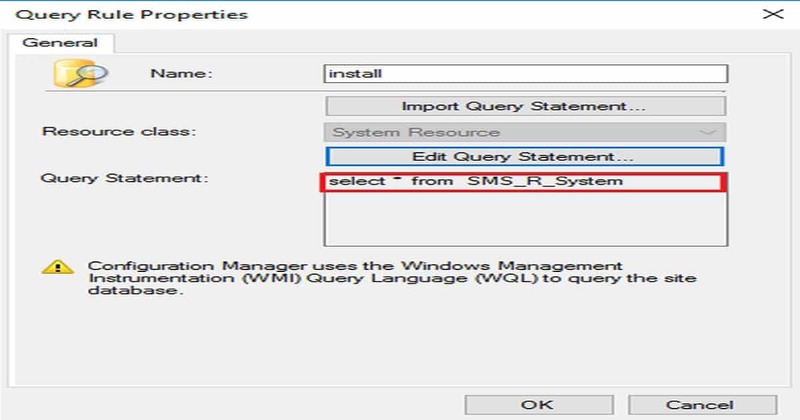 By Default it will return with Select * from SMS_R_System/select * from sms_R_User query. 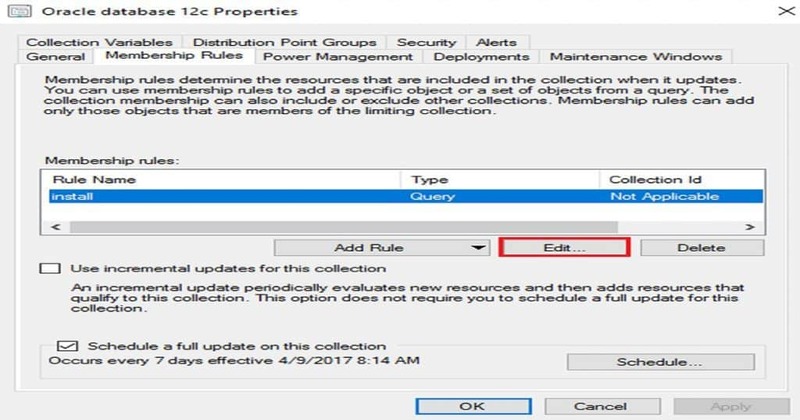 By then, the deployment targeted to specific collection will be mapped to All devices which include workstation and server.